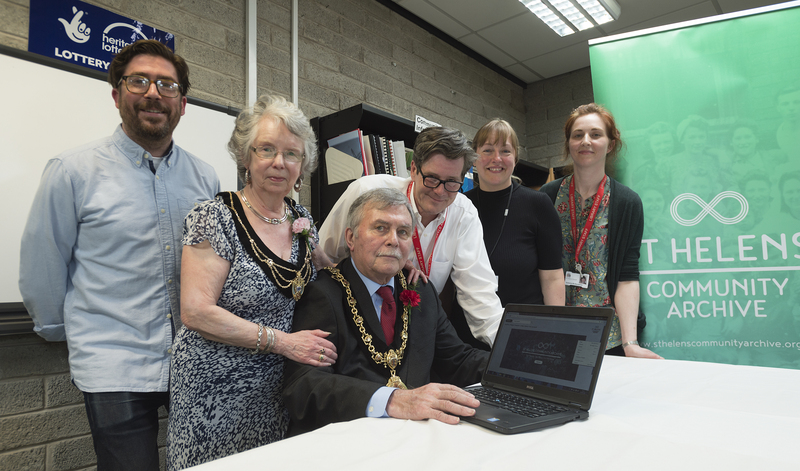 To commemorate the 150th anniversary of St Helens becoming a municipal borough, St Helens Library Service has created a new community achieve website to allow residents to explore the borough’s rich history through digital media. St Helens Community Archive is a place where local residents are invited to not only explore and browse images, but also upload and contribute their own photographs, videos, audio, memories or stories to the collection – helping to define local heritage for future generations. From Thatto Heath to Newton-le-Willows – Rainford to Rainhill and everywhere in-between, each area of the St Helens borough is represented on the website. Have you got a favourite old family photograph you would like to share? Do you have a great memory of where you grew up? Got an interesting artefact you would like to submit a picture of? You can upload your snaps from your weekend walk, community event or favourite place. Commenting on the project, St Helens Council’s portfolio holder for libraries, Councillor Anthony Burns, said: “It’s exciting to offer this unique website to the people of St Helens, which wouldn’t have been made possible without the generous grant given by the Heritage Lottery Fund. “I for one am very much looking forward to getting involved and have already seen some of the excellent photos that we have received from Haydock residents which give a unique view into our past culture and heritage. Made possible by a £86,400 grant by the Heritage Lottery Fund, the St Helens Community Archive also includes the digitisation and preservation of unique and historic oral cassette recordings and photographs from the borough collections, as well as engagement activities for schools and different members of the community.